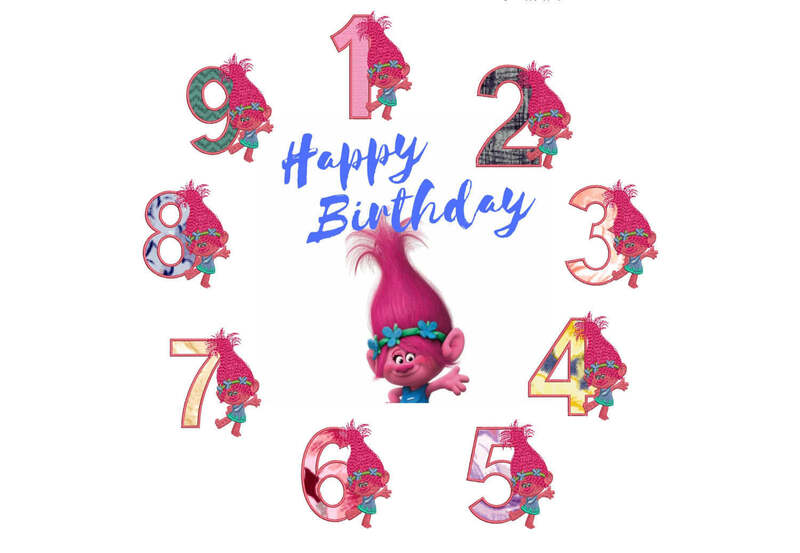 Princess Poppy from Trolls – Machine Embroidery Design – Applique Numbers 1 to 9 excellent for birthdays. 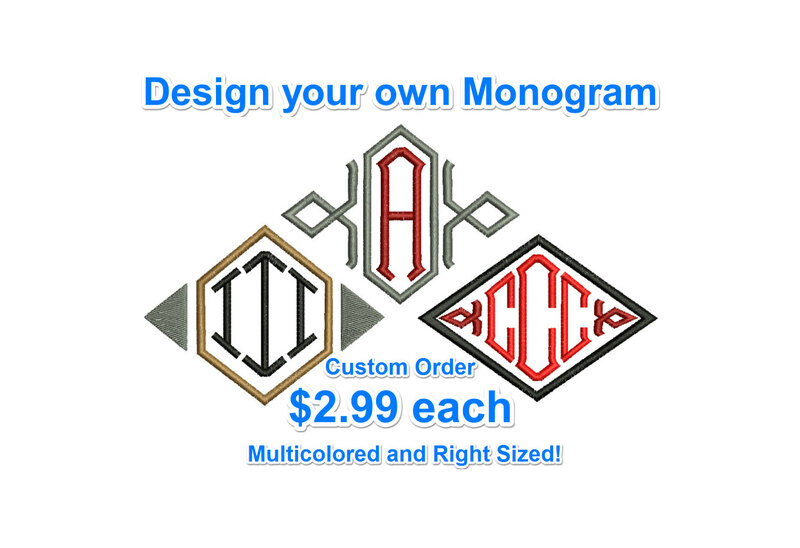 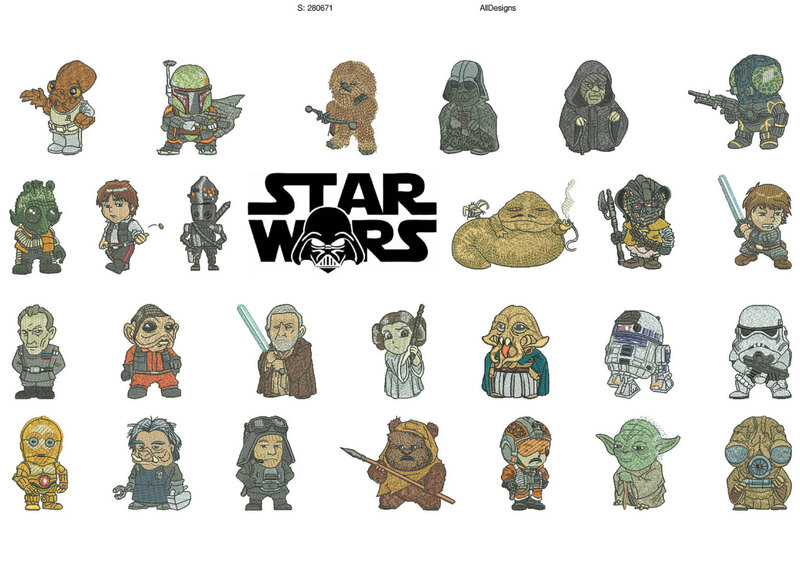 Star Wars Emojis – Machine Embroidery Designs – 16 resizable designs for badges, key fobs, tshirts, hats, towels, bibs. 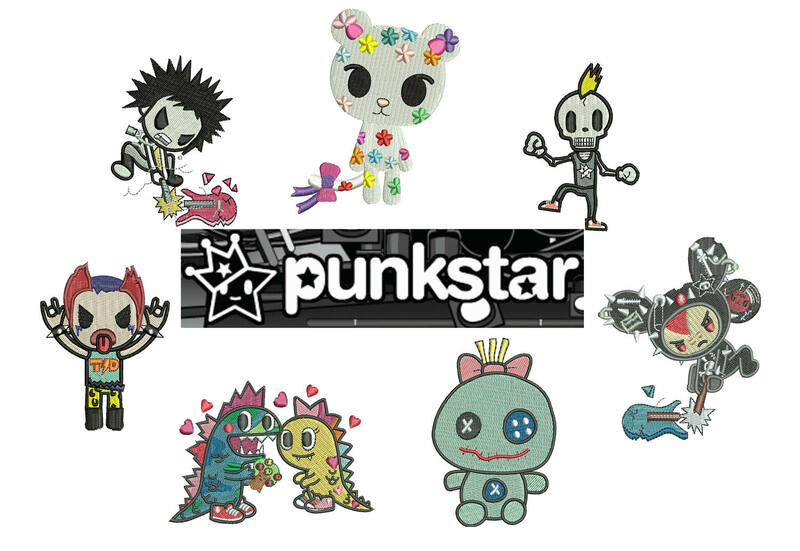 Tokidoki – 7 individual Characters – Machine Embroidery Desigsn – Set 1 of 5. 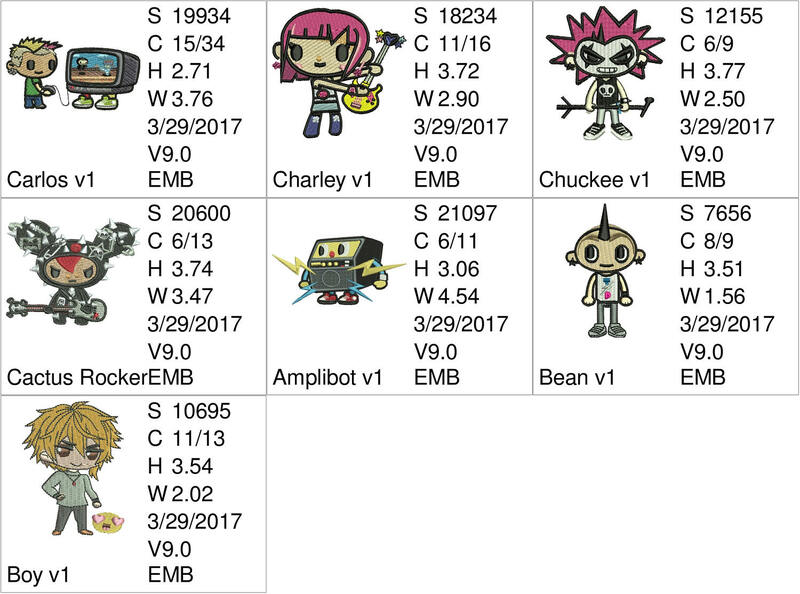 Trolls – Machine Embroidery Designs – Set No.3 – Trolls Logo, King Gristle, Guy Diamond, Grandma, Smidge, Moxie & Mandy. 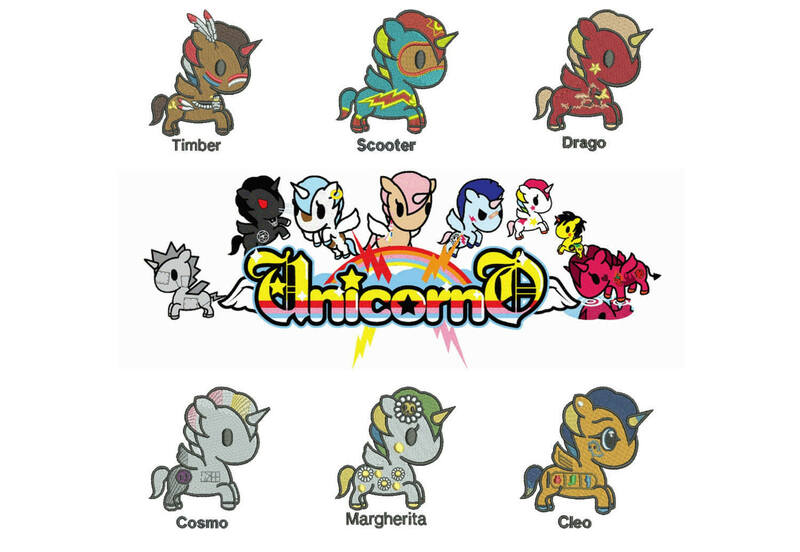 Unicorno Kawaii – Tokidoki – 6 Unicorns – Machine Embroidery Designs. 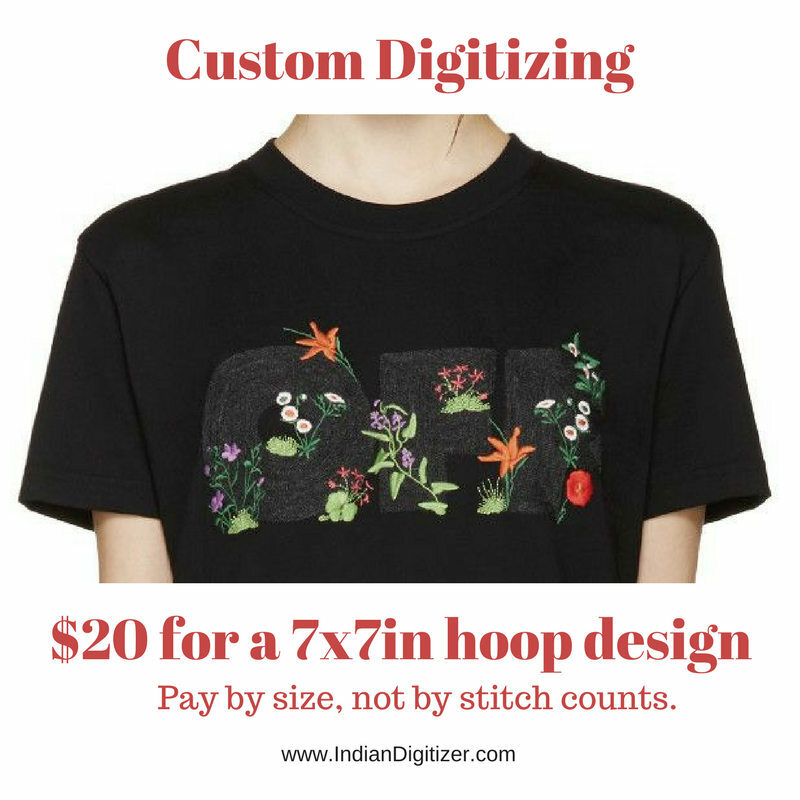 75% off on Princess Poppy from the Movie Trolls 4x4in hoop – – machine embroidery design – Applique Numbers 1 to 9 excellent for birthdays. 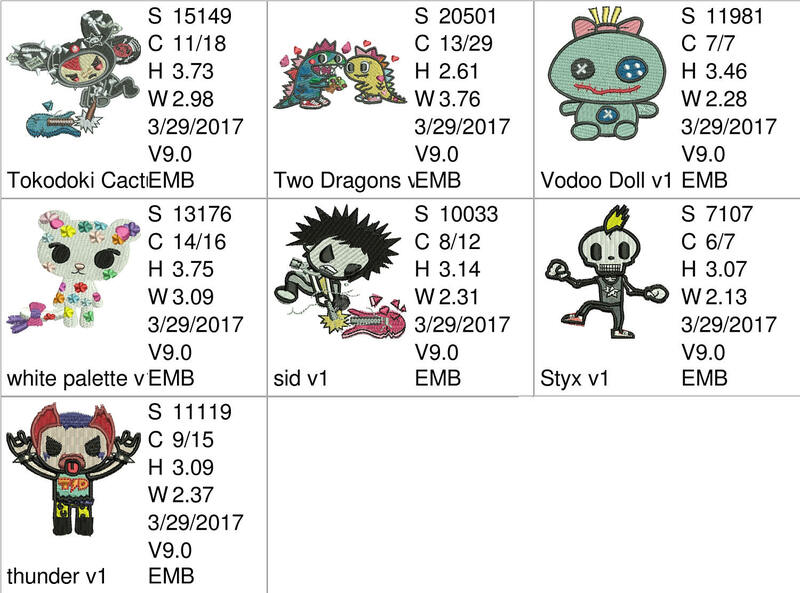 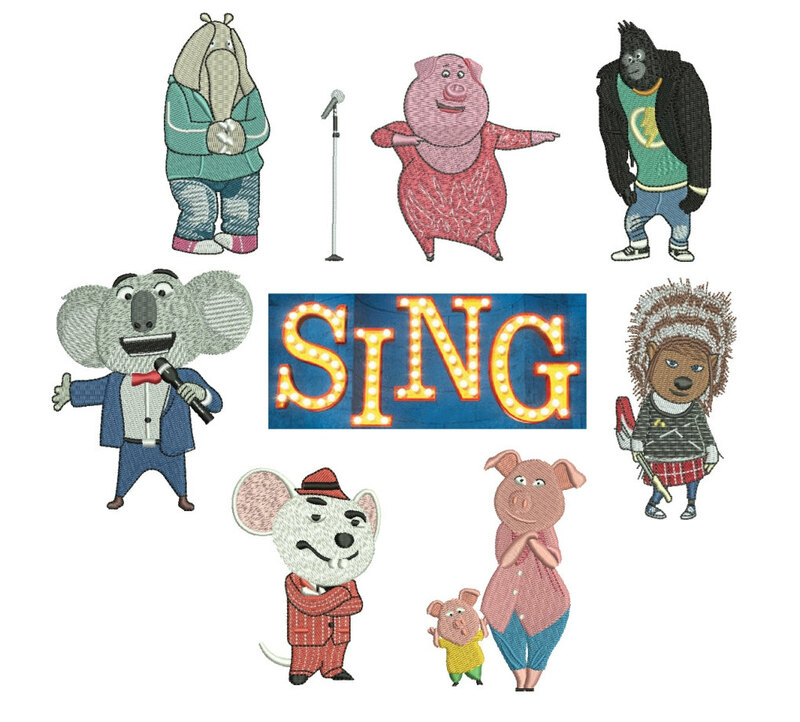 Sing Movie Characters – Machine Embroidery designs includes original file that can be resized with a freely downloadable software. 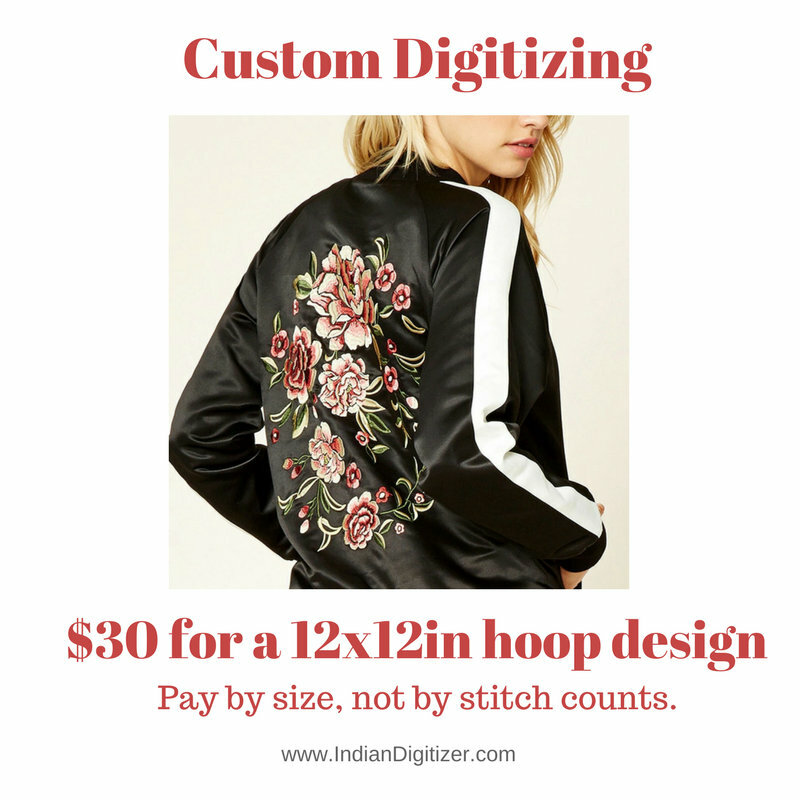 Star Wars Machine Embroidery Designs – for 4x4in hoop – the set contains 26 Starwars characters from A to Z in alphabetical order – Includes original file that can be resized with a freely downloadable software. 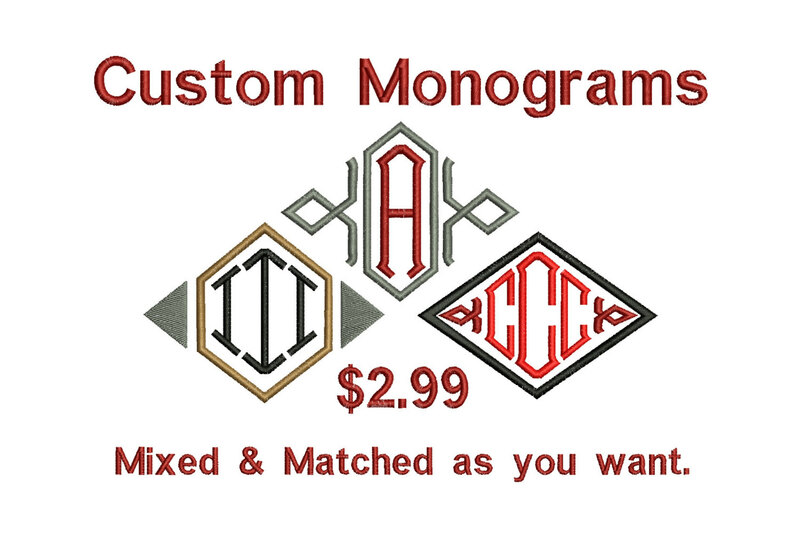 On Sale – 50% discounted price. 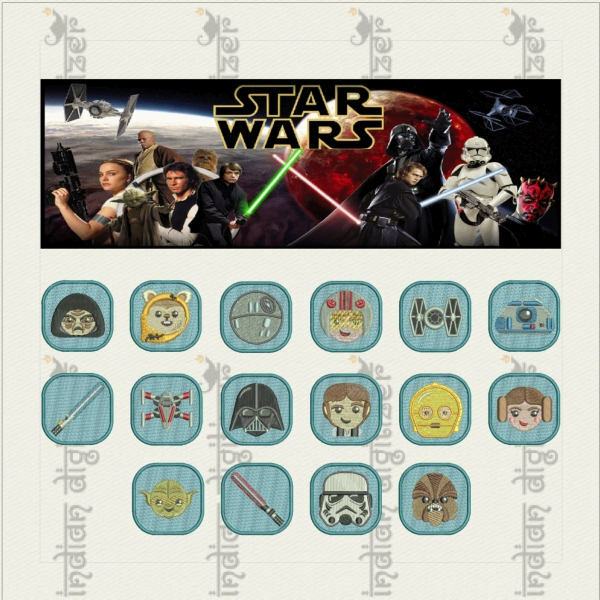 50% off on Star Wars Emojis machine embroidery designs for 4in hoop – 16 resizable designs for badges, key fobs, tshirts, hats, towels, bibs – featuring Luke Skywalker, Yoda, Darth Vader, Princess Leia, Han Solo and others – total 16 designs. 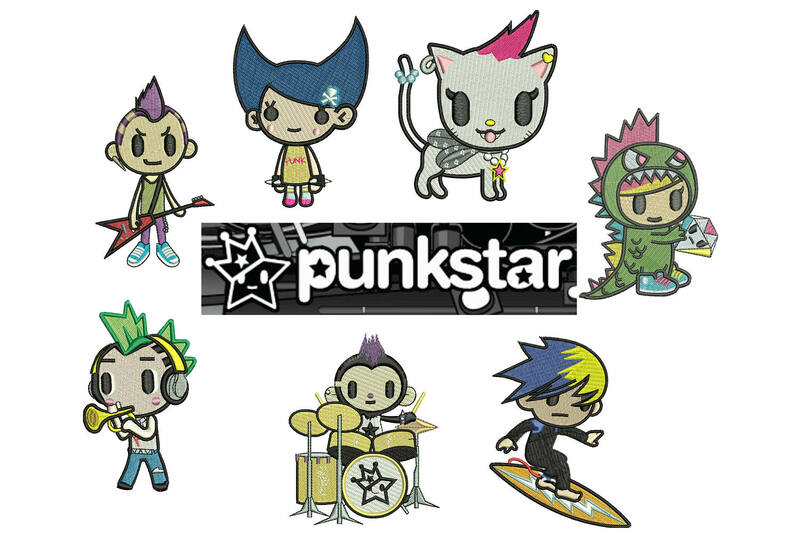 50% off on Tokidoki machine embroidery designs – 7 individual characters for 4in hoop size – resizable with a freely downloadable software – the design details like the dimensions, the number of colors and stitch count are shown in the 2nd image – this is set 1 of 5. 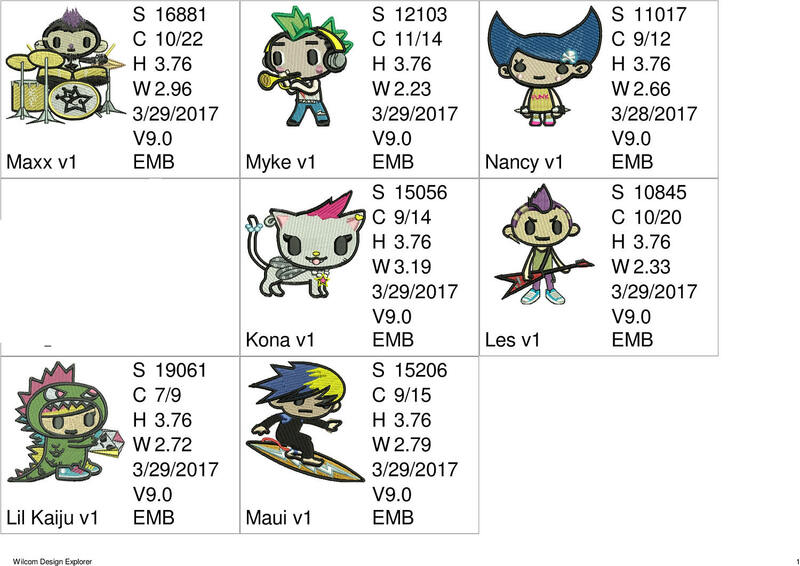 50% off on Tokidoki machine embroidery designs – 7 individual characters for 4in hoop size – resizable with a freely downloadable software – the design details like the dimensions, the number of colors and stitch count are shown in the 2nd image – this is set 3 of 5. 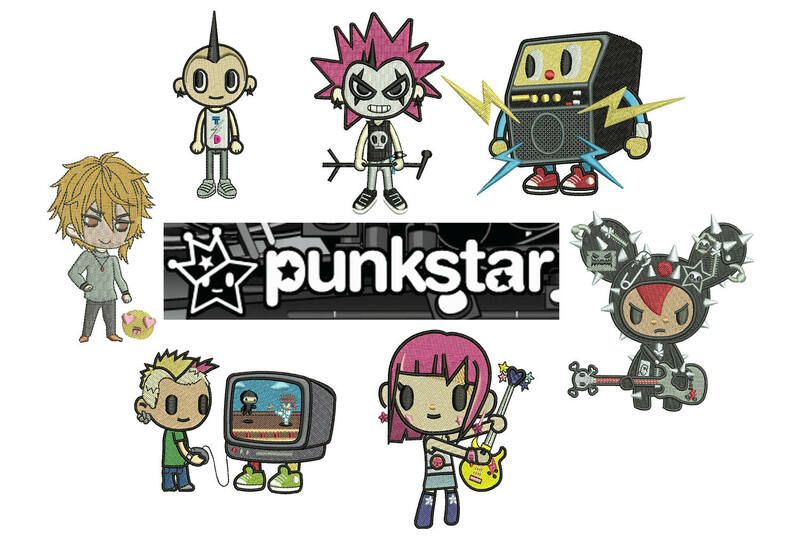 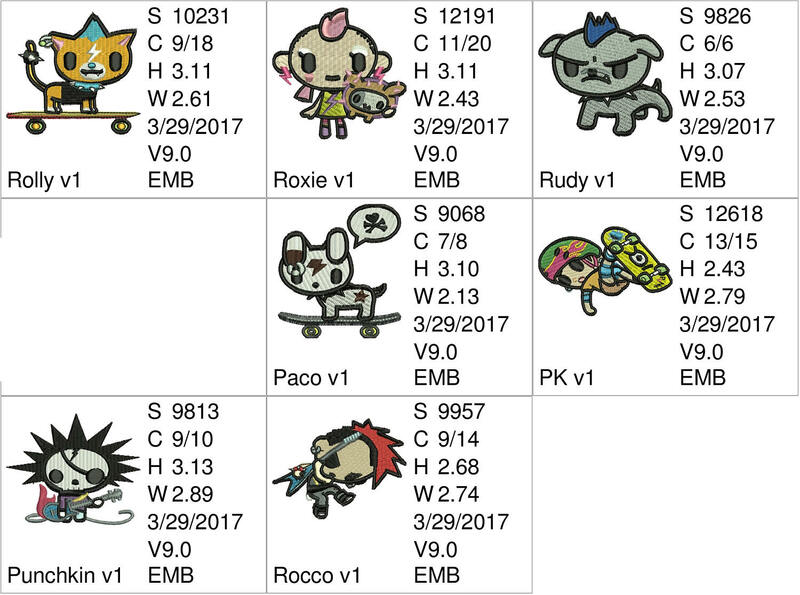 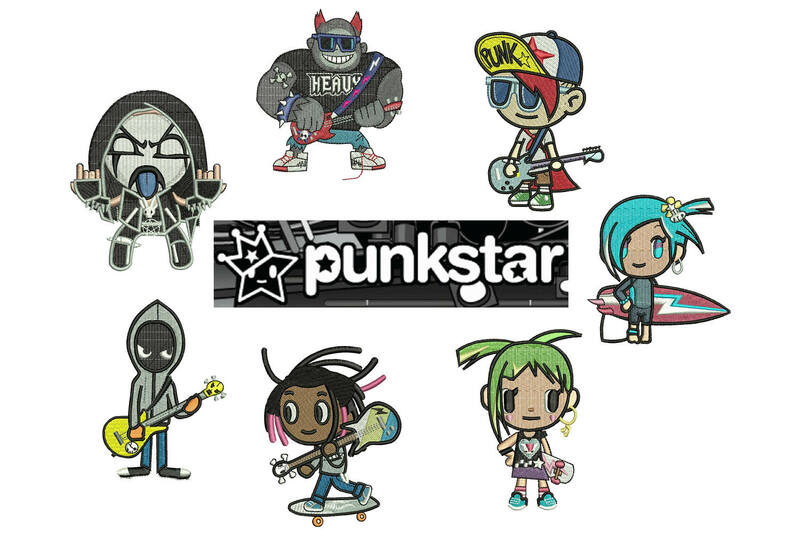 50% off on Tokidoki machine embroidery designs – 7 individual characters for 4in hoop size – resizable with a freely downloadable software – the design details like the dimensions, the number of colors and stitch count are shown in the 2nd image – this is set 2 of 5. 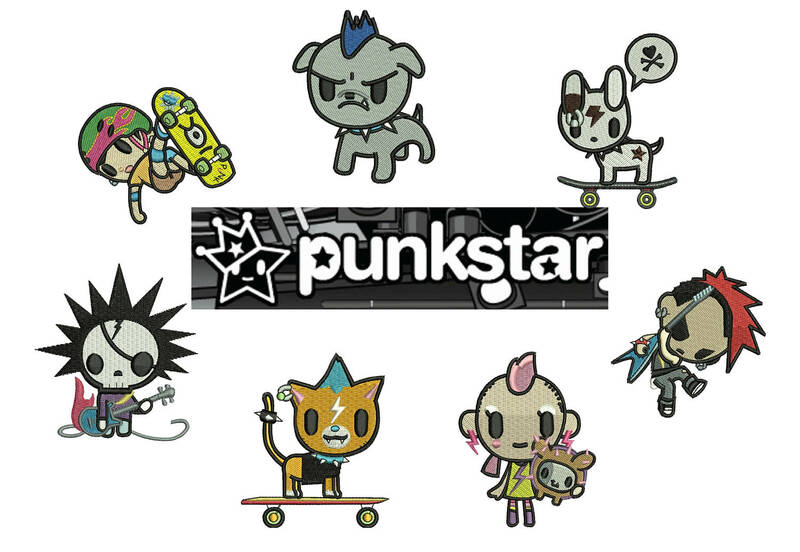 50% off on Tokidoki machine embroidery designs – 7 individual characters for 4in hoop size – resizable with a freely downloadable software – the design details like the dimensions, the number of colors and stitch count are shown in the 2nd image – this is set 4 of 5. 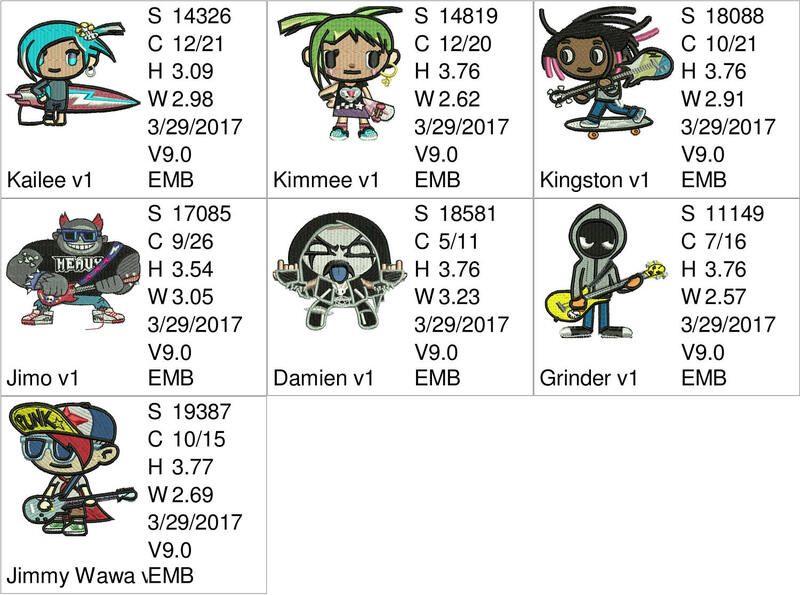 50% off on Tokidoki machine embroidery designs – 7 individual characters for 4in hoop size – resizable with a freely downloadable software – the design details like the dimensions, the number of colors and stitch count are shown in the 2nd image – this is set 5 of 5. 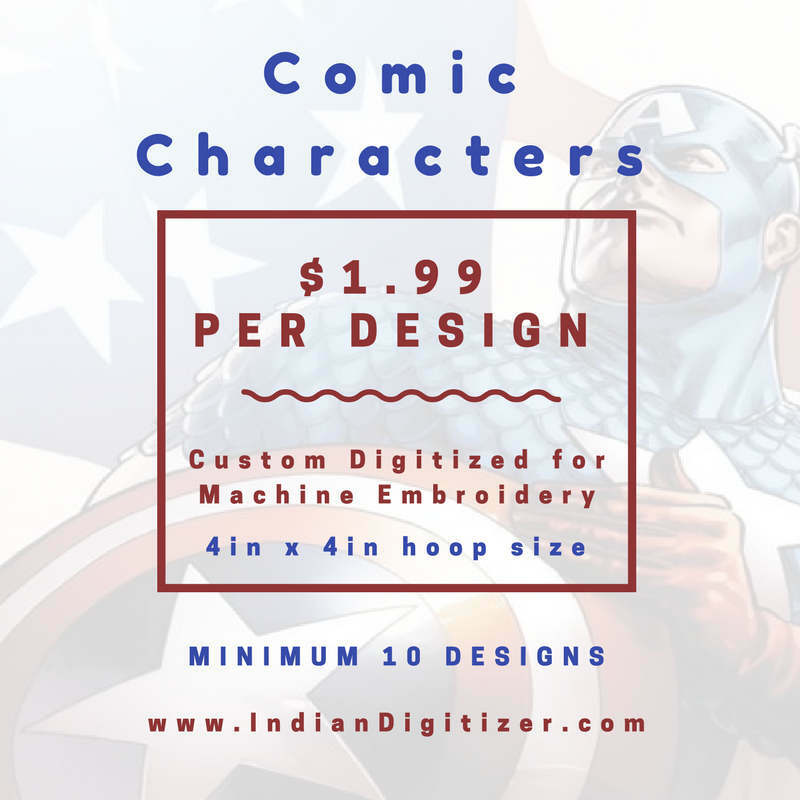 75% off on Trolls complete set of all the characters- Includes original file that can be resized with a freely downloadable software. 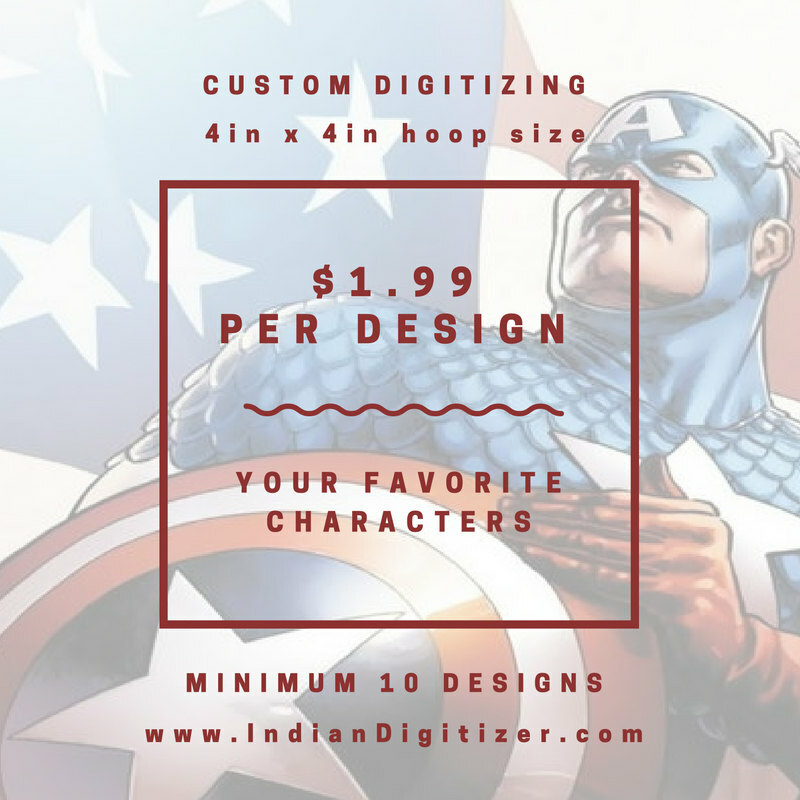 50% off – Trolls machine embroidery designs – 4in hoop – Set No.2 – Trolls Movie Logo, Cooper, Chef, Creek, DJ, Fuzzbert – resizeable files. 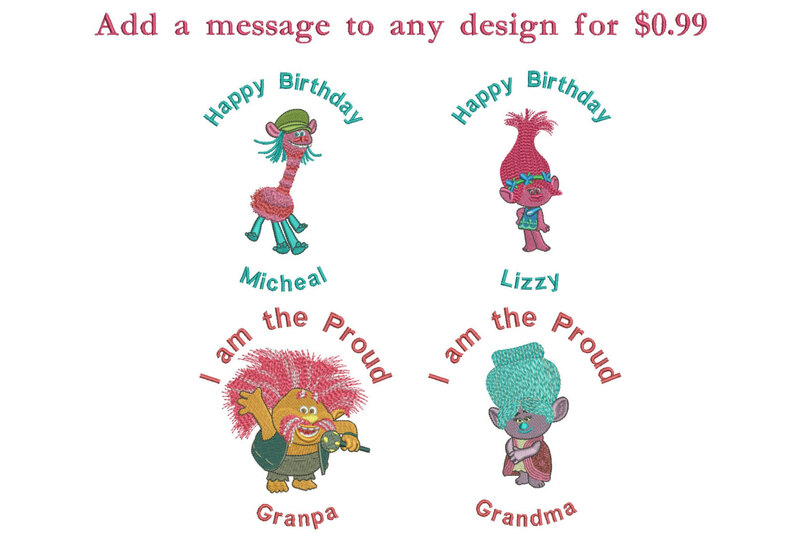 50% off – Trolls machine embroidery designs – 4in hoop – Set No.1 – Aspen, Biggie, Branch sitting, Branch & Poppy, Branch standing and Trolls Movie Logo. 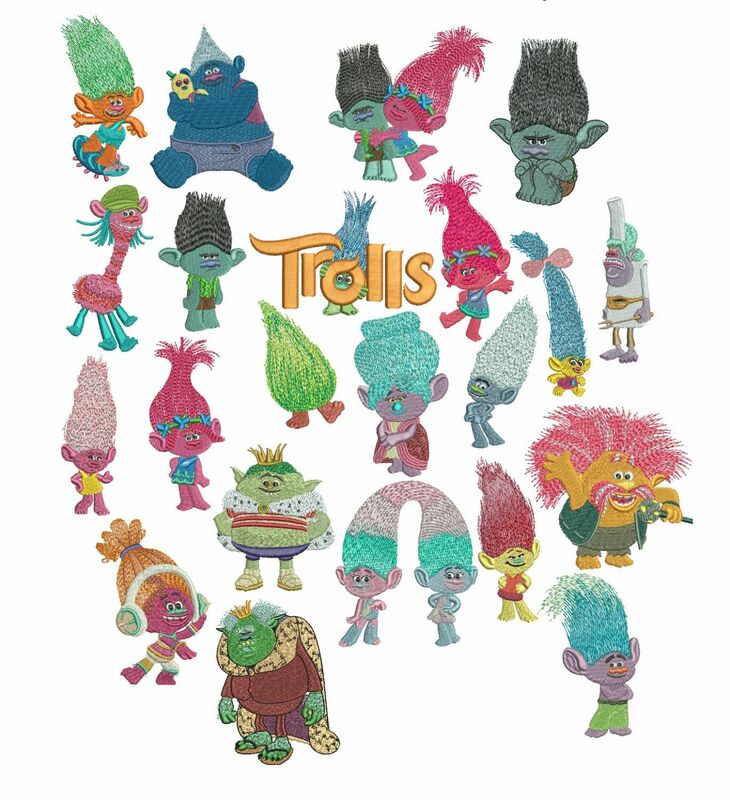 50% off – Trolls machine embroidery designs – 4in hoop – Set No.3 – Trolls Logo, King Gristle, Guy Diamond, Grandma, Smidge, Moxie & Mandy. 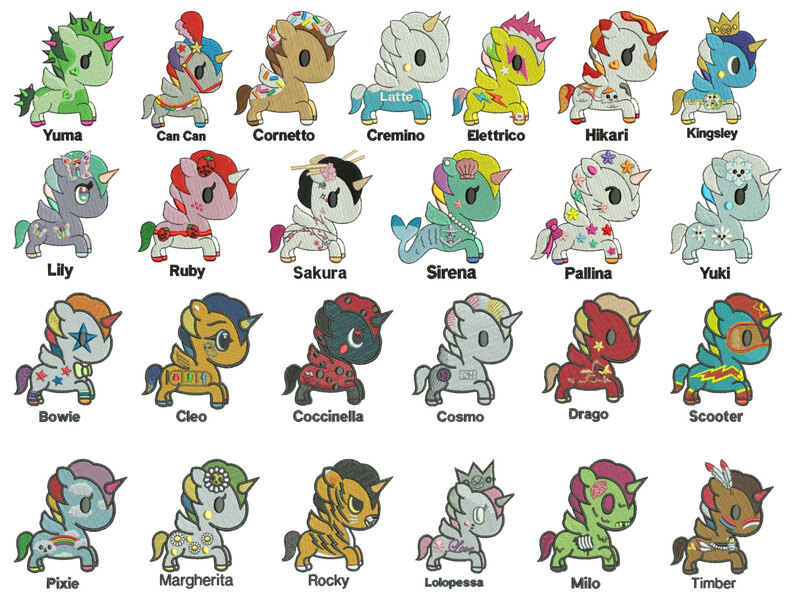 50% off – Unicorno Kawaii – Tokidoki – 25 Unicorns for 4x4in hoop – machine embroidery designs.